Having a baby in the family makes travel a little more complicated, but it doesn’t mean you have to give up travelling completely. Here are some tips to make travelling with your baby easier. You can’t explain to a baby that the strange new surroundings and schedules are only temporary, so plan long car rides or flights to coincide with the baby’s natural nap time. Parenting.com suggests following the routine that your baby has become accustomed to. If bedtime usually includes a bottle and a couple of lullabies, offer these while you travel as well. Feeding your baby during the plane’s ascent and descent will ease the discomfort on sinus passages caused by pressure changes. Bring extra diapers, and consider bringing resealable plastic bags for a hygienic way to carry soiled clothing. If your baby is likely to cry, bring a package of earplugs and offer them to nearby passengers. Planning ahead for your baby’s needs is a good way to make sure everyone in your family enjoys their vacation. 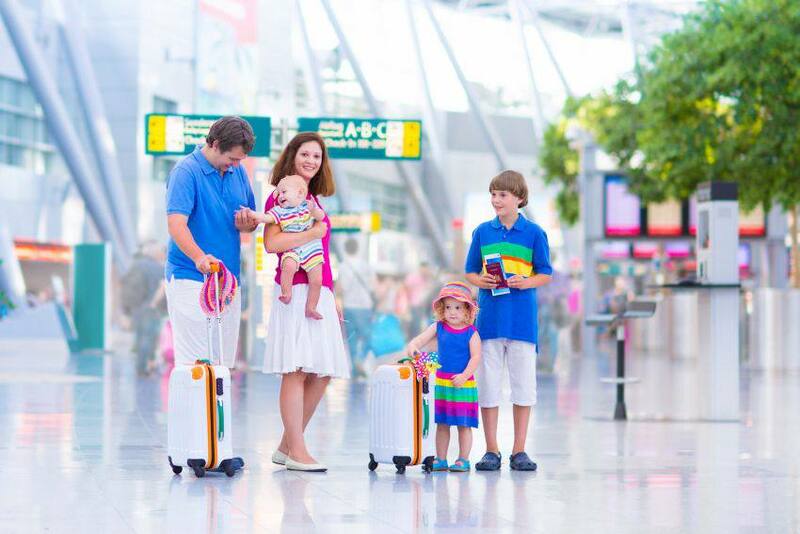 A happy baby will charm people everywhere you go, and family travel is a uniquely heartwarming experience. Be prepared with family vacation travel insurance. We wish you and your family the very best of trips!